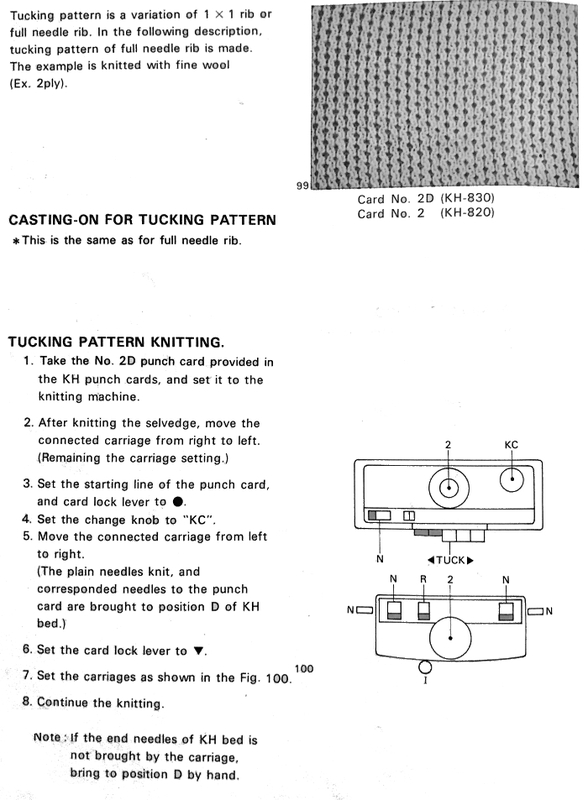 Tuck stitches on either bed will force apart the space between vertical rows of stitches in every needle rib, whether the tucking is executed on either or both beds, in one or 2 color knitting. The fabric lies flat, and depending on fiber and thickness of yarn used, the effect can be Lacey and have lovely drape. 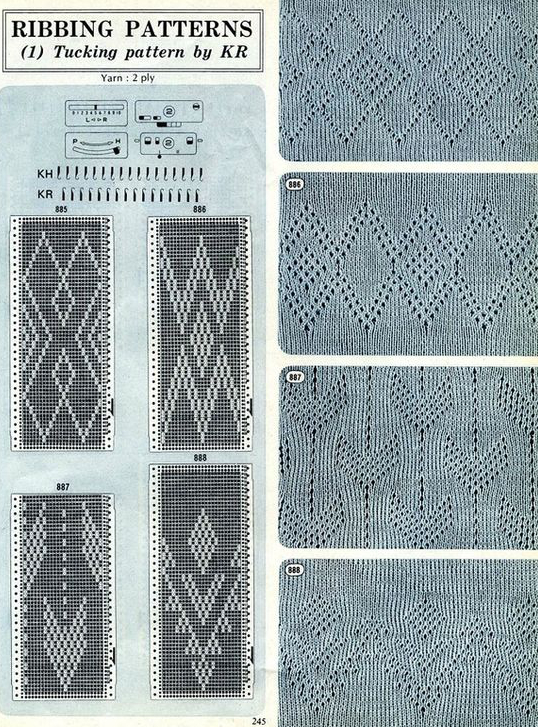 In published repeats, often tucking does not happen for more than 2 rows, making knitting fairly “safe”. In thinner yarns elongation may be used to force the fabric even further apart for a more “open” look. 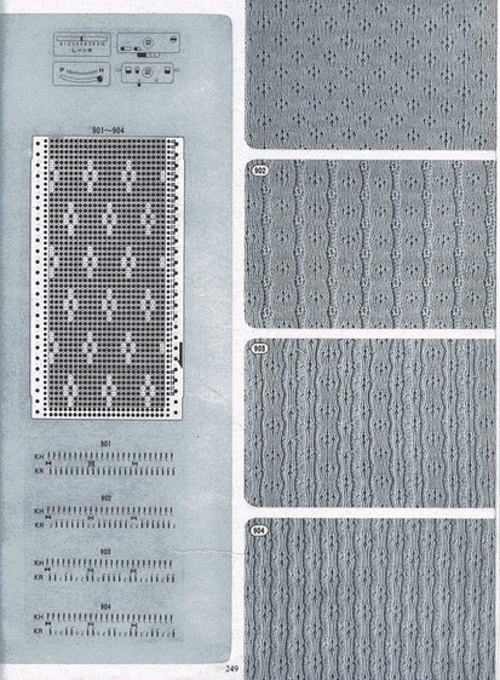 Patterning in suggestions below occurs automatically, and on the main bed only. 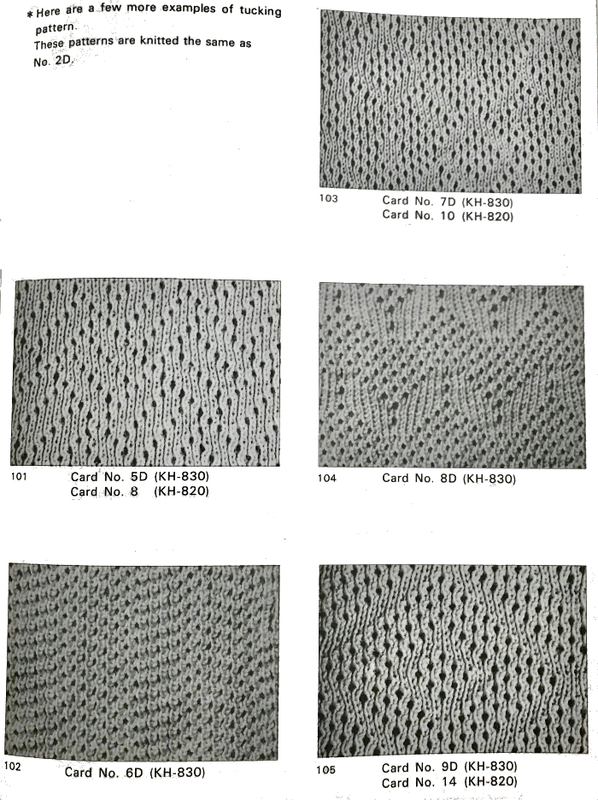 Needles out of work on the ribber may be planned within repeats to produce a fabric with knit textures on what appear as both knit and purl surfaces. 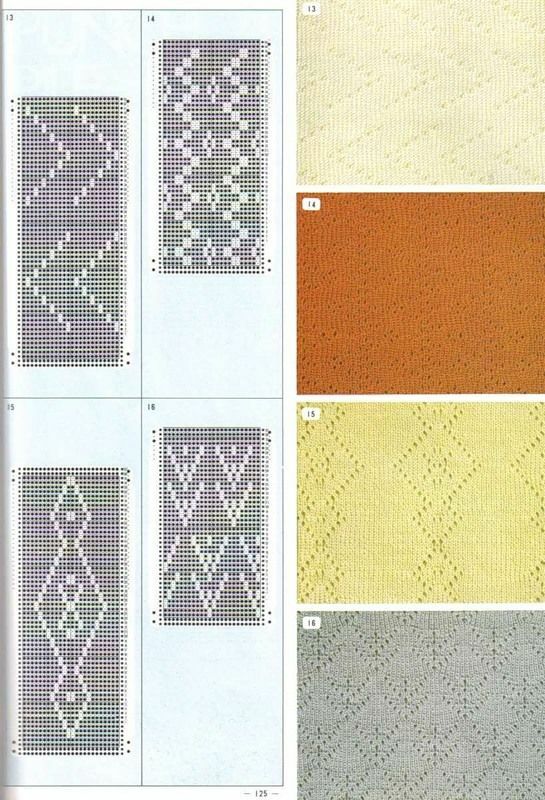 There are designs in pattern books that are promoted as being specific for this purpose, but nearly any tuck pattern may be used once limitations are recognized. 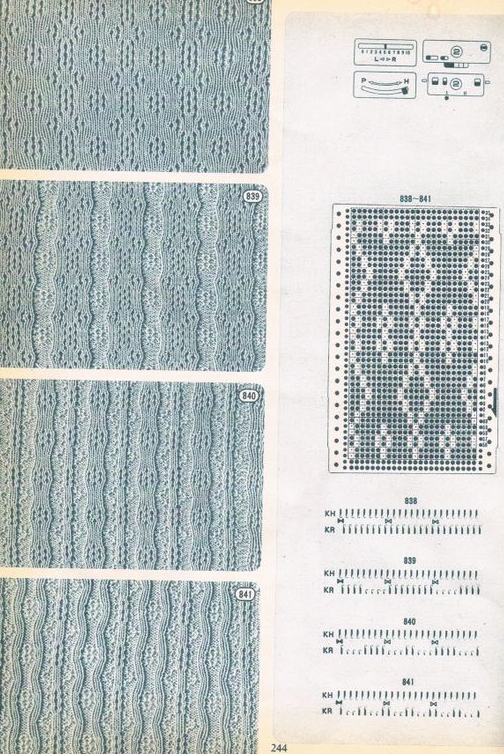 In electronic patterning a single isolated repeat will suffice. 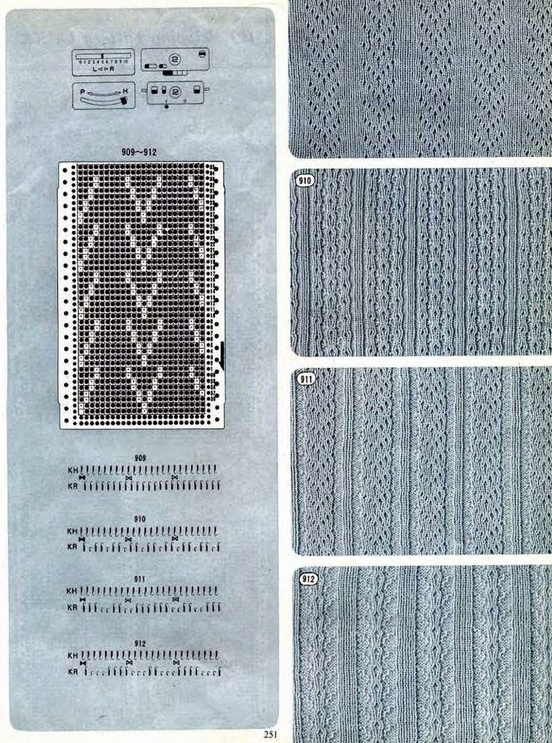 Punchcards illustrated above show the minimum required length for each. 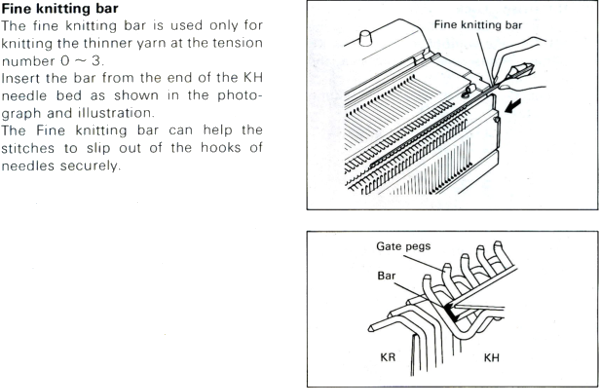 In matching needles out of work on electronics, it matters whether the default setting produces what is seen on the card on the purl or the knit side. Flipping the repeat horizontally may be required. 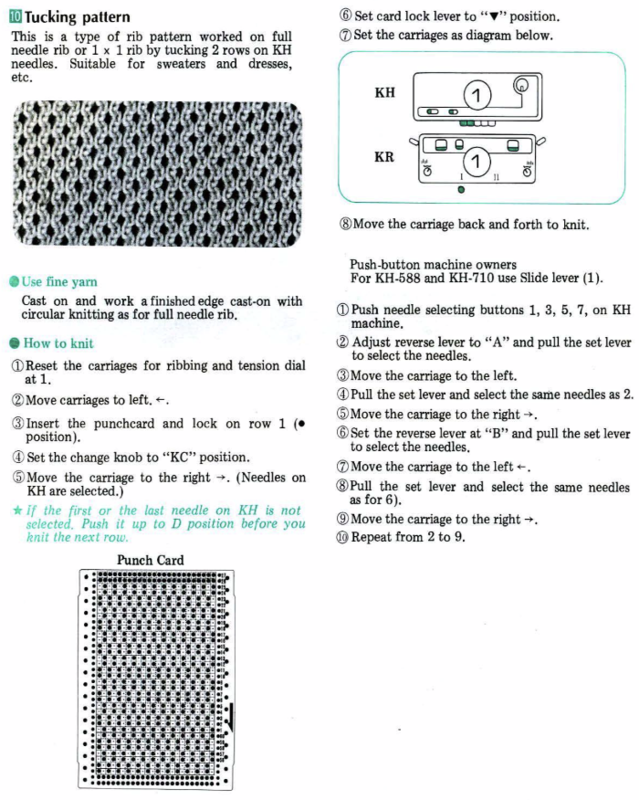 “Air knitting” with needle selection can help plan exact location on needle bed, as well as repeat width and in choosing of location and type of side edges. Again, having ribbed vertical stripes on each side will help the latter lie flat.